A beautiful Sunday, and Happy Mothers Day. I made a special cake for my sister today to celebrate Mother’s Day with the family. 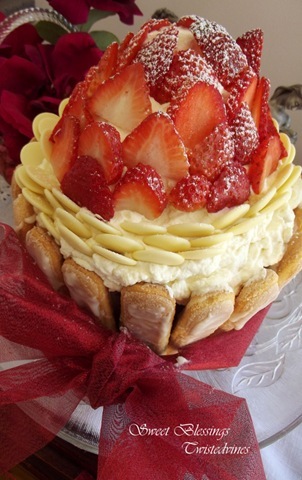 A Vanilla Strawberry Buttercake. 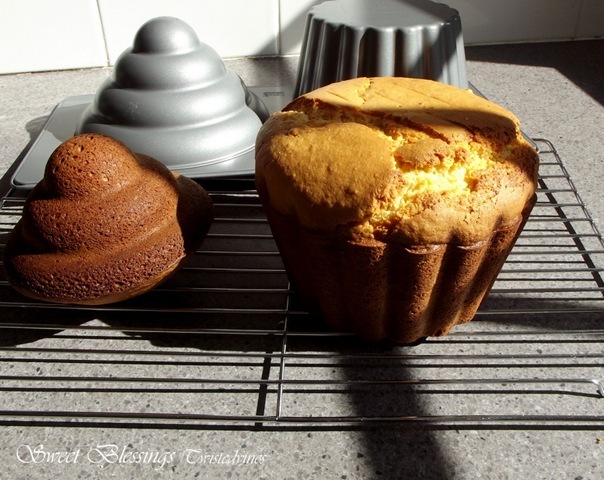 Its the first time I’ve used this giant cupcake tin, so a little trial and error, but some great results. And some wonderful ideas for future baking were discussed by us girls…. for the example of Your unconditional love they share with their children. and for the child who returns that love. that You will grant them Your wisdom in loving and teaching their children. and the blood curdling scream, ‘No!’ at the brink of danger. fed us, listened to us and tried to understand us. and her loveliness discovered as we aged. may good memories flood their minds. and revive in them long lost joy. and for a shared ‘I Love You’. or who adopted us into her heart. I thought I’d share this beautiful Mothers Blessing poem that we gave to our Mum’s today from our children in our Liturgy class. In the background is my new giant cupcake tin…have you seen one or have one in your kitchen? I used the buttercake recipe which came with the tin, as I wasn’t quite sure of the required amount of mixture needed for this tin. I actually didn’t put enough mixture in the top part of the tin.But I disguised the problem will the finishing decorating touches. Method: Pre heat oven to 180°C. 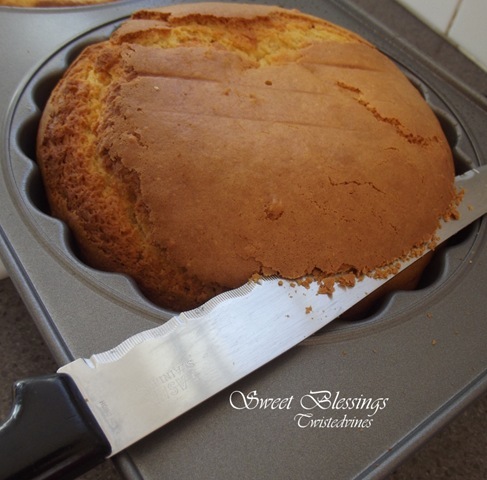 Beat butter and sugar together with an electric hand mixer until light and fluffy. Gradually add in 1 egg at a time beating until well combined. Stir in vanilla essence, then gradually fold through lightly sifted flour and milk. Pour mixture into both sides of the tin, for top and bottom of giant cupcake.Fill the top section 2/3 full, and the rest into the bottom half of tin.Bake in moderate oven for 1 hour, reduce heat to 160°C and cook for approximately another 10-20 minutes or until you can insert a skewer in the centre of cake and it comes out clean. Remove cake from oven and leave in tin to rest for about 10 minutes before turning onto a wire rack, and cool. Place cake onto a cake stand it makes life easier to decorate as you turn cake.I covered the center of cake with strawberry jam and cream. I made a quick vanilla icing with 1 cup of icing sugar, 1 tablespoon of softened butter, 1 teaspoon of vanilla essence and a 1/4 cup of milk. 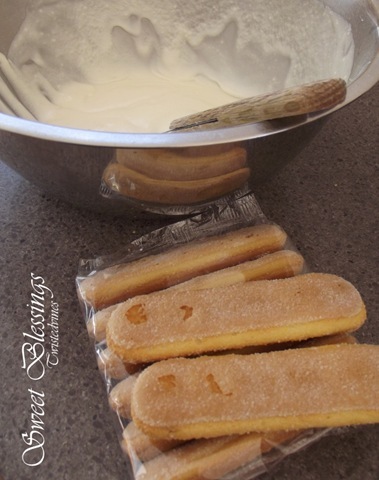 Adjust the mixture as you go…add more icing sugar of milk to make an icing easy to spread, but not runny. I decorated the edge of this cake with bought Italian savoiardi biscuits. Spread with the icing line up along outside edge of cake and drizzle a little on the front of biscuit. 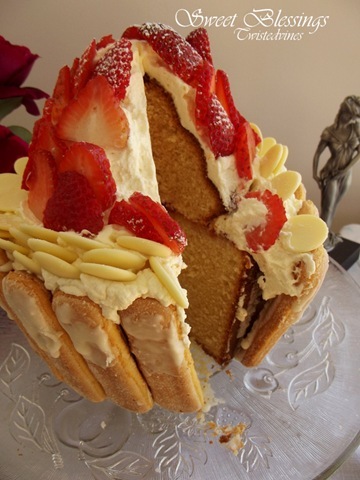 Add fresh strawberries and white chocolate buttons. Trim with a red ribbon. Just says Sweet Celebrations! 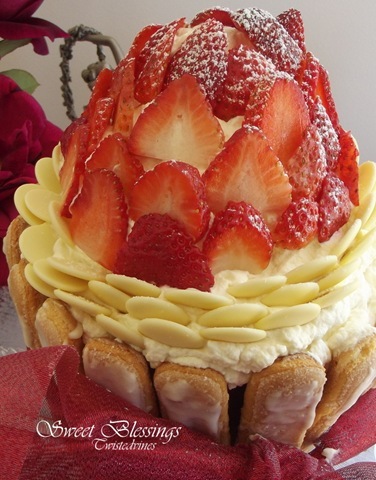 Viola!, a beautiful classic buttercake, made into a strawberry delight cake. Long distance wishes to my Mum and wishing you all a wonderful week. What an exquisite cupcake cake Yvette. You always go the extra mile with fabulous results. 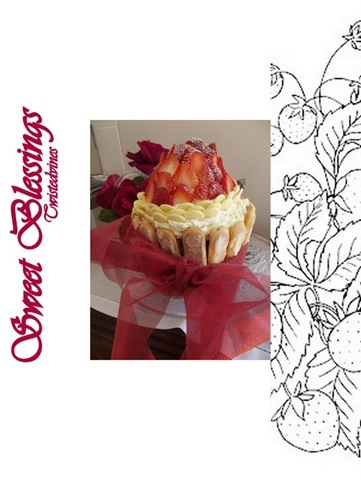 Such a wonderful cake … er … cupcake you created for your Sister, Yvette. It really is beautiful and I’m sure she will/did appreciate it very much. Have a great day! 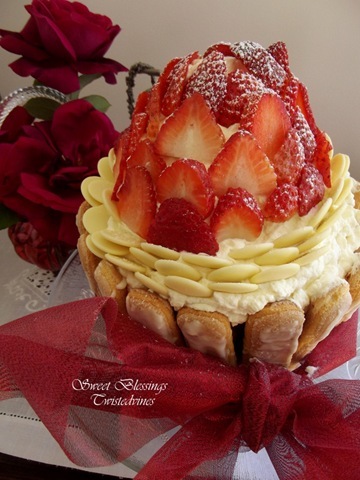 A luscious cake and so beautiful, Yvette! And mostly what a beautiful prayer! Absolutely precious in words and concept. Did you write it? Regardless, it is so beautifully put. I wish you a very Happy Mother’s Day, too for all the motherly nurturing you offer to those around you (and those far); your sweet embrace, thoughts, and words, as well as your sweet treats and delightful personality. The makeup of a true mother dwells in the heart. Thanks Celia, yes, I’ve only seen this done as a giant cupcake, but thinking outside the box, you can really get creative. Funny, we did just that, once I saw how the shape turned out, my sister, neice and I, had just that discussion..’you could make…oh that would look great! 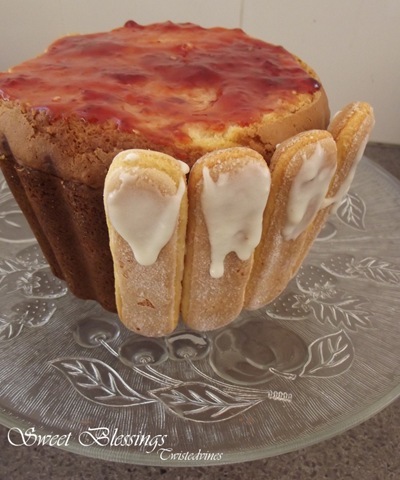 …just have to create the quanity of mixture up to this basic buttercake recipe!